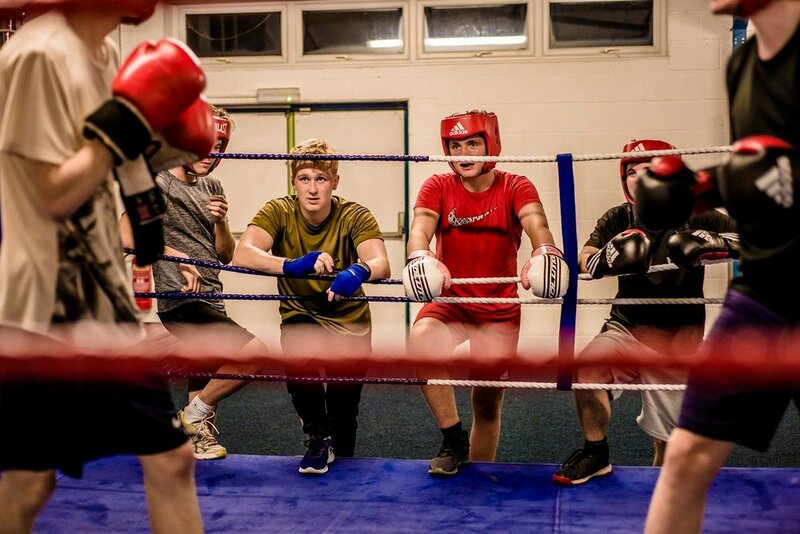 Rooftop Theatre Company based in Ludlow are working with the members and coaches of Ludlow Amateur Boxing Club to devise a physical and dramatic play at the boxing club. Using the movements, exercises and rituals of boxing, the story will be based on the history of the club, the experiences of the members and the local community. Boxing and theatre seem like two different disciplines but one only needs to cast their mind back to some of the boxing greats to understand that the ring functions like an arena for performance. Is that where the idea came from to collaborate? What else do the two disciplines share? The idea to collaborate came from reading Liz Hyder's article about the boxing club for the Ludlow Ledger. We work with Liz and she enthused about her visit. I went down to have a look, joined in and am now a regular member! We approached them with the idea for a performance there and they were up for it. We love to perform in non-theatre locations and it seemed ideal – the space, the ring, the punch bags, equipment and atmosphere. Seeing the concentration and focus of boxers exercise, practice and spar is compelling. It is form of complete engagement with your task and the other person, which is much like theatre. The ring is a place of performance, challenge, risk and reward, rather like the stage. In sparring you have to step towards danger, remember what you have learned and then rely on instinct, reactions and momentary decisions. The best drama is in the moment. Also, the bond between the boxers who fight is intense, even though the purpose is to hit each other, and the most rewarding time in performance is when a cast bonds. Can you give details about the project? What does the Arts Funding support exactly? Training the troops? How are boxing club members taking the news? Is it likely to become a series of collaborations? Arts Council England are funding approximately 70% of the costs of the project. The rest is through ticket sales, sponsorship and in-kind help. Their funding pays towards rehearsal space, use of the boxing club, producer, director and actor fees, lighting and sound, other professional help such as choreography as well as marketing and PR. The coaches and a number of members have been interviewed on what the boxing club means to them and about their community. They've all been very willing to share information with us which will go towards the story and script. 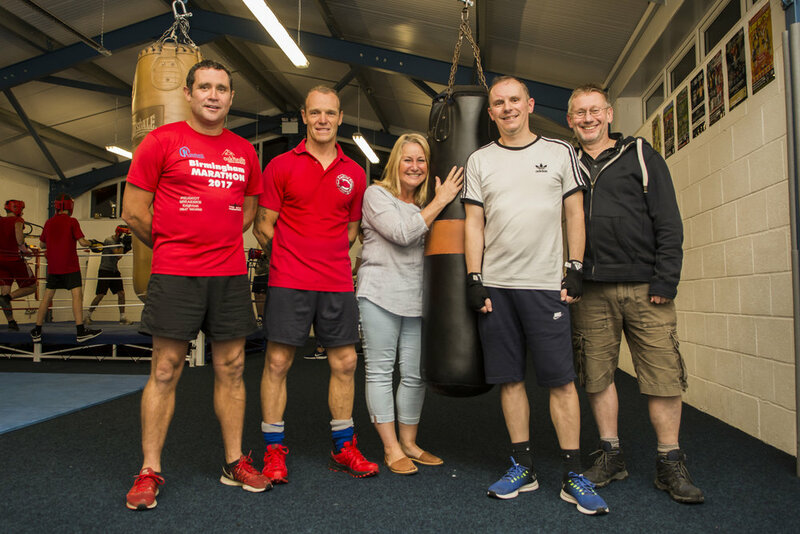 It’s definitely an unusual project for a boxing club but it will help to raise its profile. We would like to continue the collaboration afterwards by taking a version of the production to local schools – if they have a mobile boxing ring we could use then yes, the collaboration could continue! The Rooftop Theatre and the Amateur Boxing club are both community oriented groups what are your chief goals in Ludlow? How are you working in and with the community? Rooftop have been in Ludlow since 2013 and we've gained a good following of loyal supporters who love our approach to classical theatre and pantomime. This is our first community driven project where we're deriving the story from people within Ludlow, engaging them in the process and performance, and working closely with other community organisations. We want to develop our community theatre skills and strategy and see where it takes us. Ludlow Amateur Boxing Club are based on Wheeler Road in Ludlow. Open Monday and Wednesday evenings to the general public, they have a strong emphasis on fitness, training and community.